Tech help for dummies ? Is there any tech help for people who do not know there way around a computer . Looking thru the forums there is a lot of look at this or switch this or send us that and auto assume you know how or where or what to do to achieve said thing. And it seems that people who do have the smarts ether give technical replies or refer you to a different post or just ignore you if you ask for clarification . Or is it just a case of so sad to bad oh and buy the thanks for the cash dummie. Depends on what the issue is. I use to moonlight as a Tier 3 Tech support for an internet service provider (way back in the day). One of the things were good at was to work out where the customer was at Tech wise and work from there. My only suggestion is to ask the question and see what answer you get. If you do not follow the proposed solution then there is no harm in saying so. We have all been there at some point where we have been completely confused on how to resolve an issue. I assume the issue is Star Control related ? What issue are you having specifically? Yes, i did read that thread. The replies were along the same lines as I would have posted. Basically the posts were gathering information about your computer to help narrow down what might be causing the issue. The best starting point can usually be the log files for the game. SC:O keeps 2 RunLog files which has some information that might be able to help identify the issue. 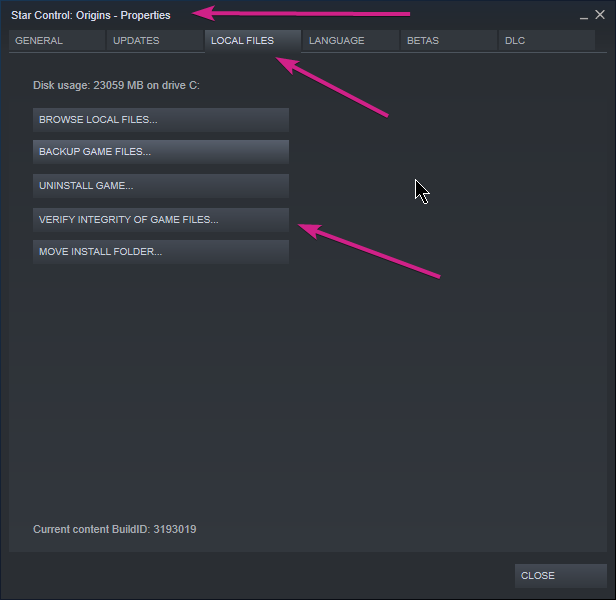 This information can be found in the settings option for the computer. Now sometimes, graphics card drives have a control panel that has collected this information for you. For example, I am running a Nvidia graphics card, one of the "features" is the "GeForce Experience" which has most of the information we need for the first pass trouble shooting. Once you have the runlog.txt and your system settings, post a reply to one of the threads with the information and hopefully we can help work out what is causing the issue. Hopefully this all made sense, let me know if I need to clarify any of my ramblings. UI is scaled by 66.7% and may not look sharp. I belive these at my comp specs could not work out how to paste them so i typed everything as i saw it if missed something let me know. Yes that does help - as you can see from the Logfile the game is crashing due to the "Swapchain" error which was suggested as a possibility in your other thread. I have been reading this thread regarding this particular error, from what I can gather it seems like there is a issue with the drivers for the NVidia. Currently sdRohan (aka Sean Drohan - Stardock Customer Service Manager) is working with NVidia to see if they can resolve this issue. However you are using an on board intel graphics chip (if I read the system specs correctly). - Ensure that your graphics drivers are up to date. - Consider opting into the beta version of the game to see if the new build of SC:O resolves the issue. Hopefully one or both of these suggestions will help. If not, we will draw sdRohan attention to this thread so he knows that the issue is not isolated to NVidia. Von - have you checked in BIOS how much RAM you have allocated to the graphics? And you have I cant talk about it yet but we may have some news on this (SwapChain / NVidia) soonish - stay tuned. Again, we really do appreciate everyone's patience and support - truly. While that is listed, it may not be the only card he has. @Vondarkmoor. When the game crashes, it pops a crash report menu to fill out - asking for your email address. I don't see any submissions under your *****. ***@bigpond.com address. If you are submitting the report under a different email address, click on my username in this post and 'Private Message' me what you are submitting under. I can tell more from the logs and will get back to you. I have see the crash report pop ups you mention . 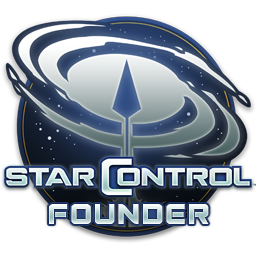 But i have not seen one come up for Star Control the ones i have seen were for other games and have no connection to any Stardock products i have. I do not know where to look at BIOS to check the allocated RAM. The NVidia Geforce Experence is present on my rig but if you click on the NVidia icon on the toolbar a message pops up [ A yellow triangle with exclamation mark inside] NVIDIA Display settings are not available . And underneath that line. You are not currently using a display attached ta an NVIDIA GPU. I hope this further info is usefull to you and directions on how to check BIOS would be nice . Thank you. The GeForce driver Version 416.34 is the currant one installed also. You are not currently using a display attached ta an NVIDIA GPU. Can you confirm what graphics card you have in your system? Based on the runlog.txt info you gave andthe Nvidia display settings, it looks like you system running of your Intel HD graphics - is that what it is meant to be running from? Your RAM and CPU are fairly beefy so I'm wondering if you are meant to have a working dedicated graphics in that machine. Is it a desktop or laptop? It is a desktop that was built for gameing it is only 14 months old and meant to be beefy as you described. I have contacted the suppler of my PC to ask them for the specs of my rig as to nail down what is in it and what it should be capable of performing. I hope to get a reply from them soon but it's the weekend. If and when i do i will post that info. A quick way to see if there is a graphics card in your computer is to look at the back of the computer and see if there are any auxiliary cards installed on the computer. For example if you see this on the back of the computer, then its highly likely there is a dedicated graphics card in your computer. Now if you suspect there is a dedicated graphics card on your computer we can confirm its existence by looking at the Device Manager in Windows 10. Press the windows start button to bring up your menu. About 3rd or 4th down there should be a menu group called "Display Adaptors"
Click the grey > and it will expand the list of display adaptors installed in your computer. This should list all the available components in the computer that can display graphics. Yikes ! . . Can i have your computer ? So, next question - is a computer screen plugged into the GeForce GTX 1080 ? If yes then we need to find out why SC:O is not using the better graphics card - I found a guide that might have a solution. Thank you for the knowledgeable assistance here, Darkstar076. Try to run the game and see if that help. the sdcr64.ini file should be recreated. Try to run the game again and, if it crashes, the popup should occur. Let me know and thanks for your patience. My display was not connected to the GeForce card , it is now connected. If you have not already done this, as a final check - have a look at the RunLog.txt and see if the game is now using the GeForce GTX 1080. In the INISettings: line you should see an increase in the dedicated Video Memory. Looking at the RunLog.txt in comparison to the one posted earlier i see. So far playing the game after changing where the display was connected i have not had any problems. Reading to catch-up I was wondering if you had it plugged into the wrong port that probably fixed it. Swiching from the inbuilt graphics to the Nvidia graphics card solved my problem . I did not know that there was multiple ports that i could use for the display outlet. The change in dedicated video memory seems to be what my issue was i think but then i'm no expert. I did not know that there was multiple ports that i could use for the display outlet. The integrated graphics is built in to the CPU and the motherboard provides ports to connect this through. Designed so that users don't need to buy a separate graphics card if they don't want to. Easy rule - If you know you have a graphics card, don't use the ports around the USB or audio jacks. They should be in a row in the PCI card section.